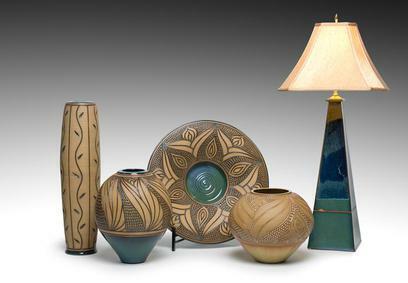 Doe Ridge Pottery Gallery, located in the "High Country" of Boone, North Carolina, is owned and operated by Master Potter, Bob Meier, specializing in high quality Home Décor as well as beautiful functional ware. 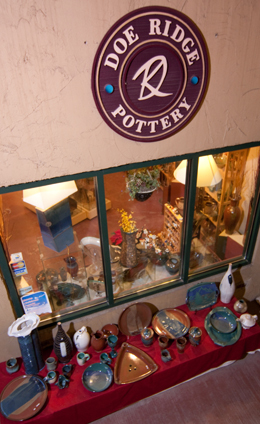 The gallery is home to a fine collection of local artists, each bringing their own unique voice and perspective to their pottery. Please take some time to browse through our web page and this sampling of our handmade stoneware, designed to enhance your living space. Then plan a trip to our Gallery to see the ever changing collection of work. We can also design signature dinnerware as well as commissions work.